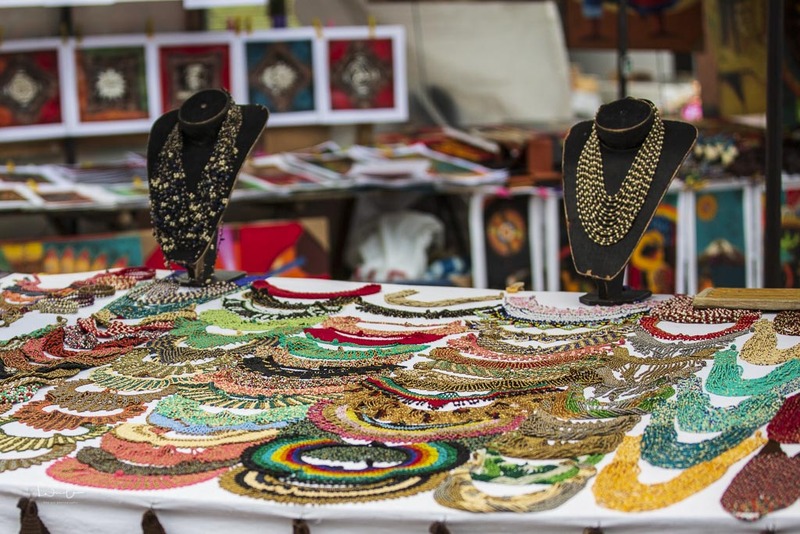 OK, let's start with the world-famous crafts market. 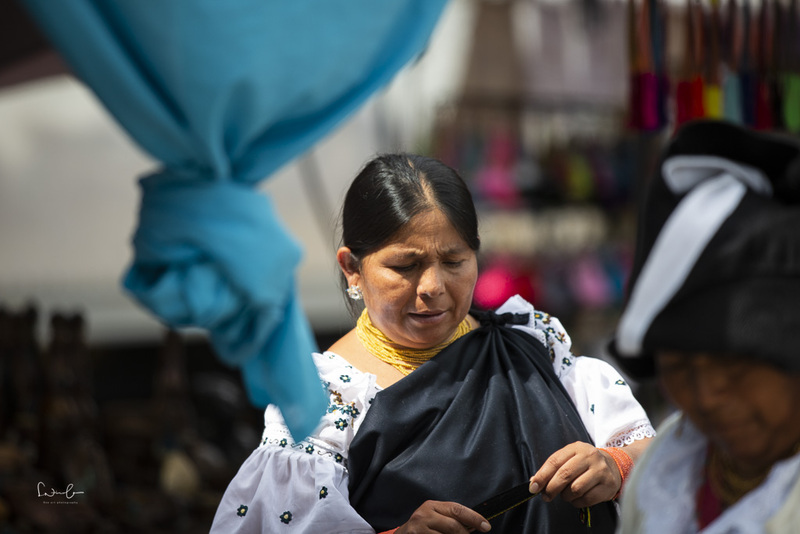 On Saturday, the Otavaleños from the city and the surrounding villages set up their stalls early in the morning in the Plaza de los Ponchos and praise the colorful goods. 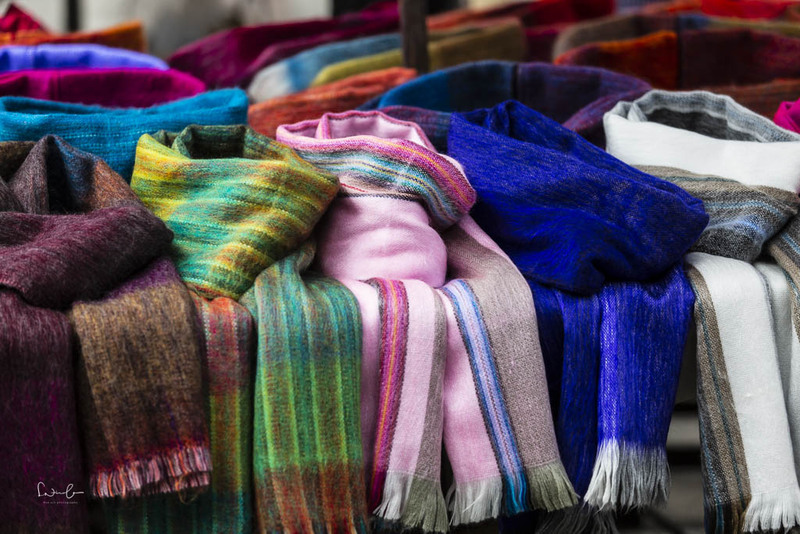 From sweaters, alpaca blankets, caps and bracelets to dream catchers, you’ll find everything your heart desires. 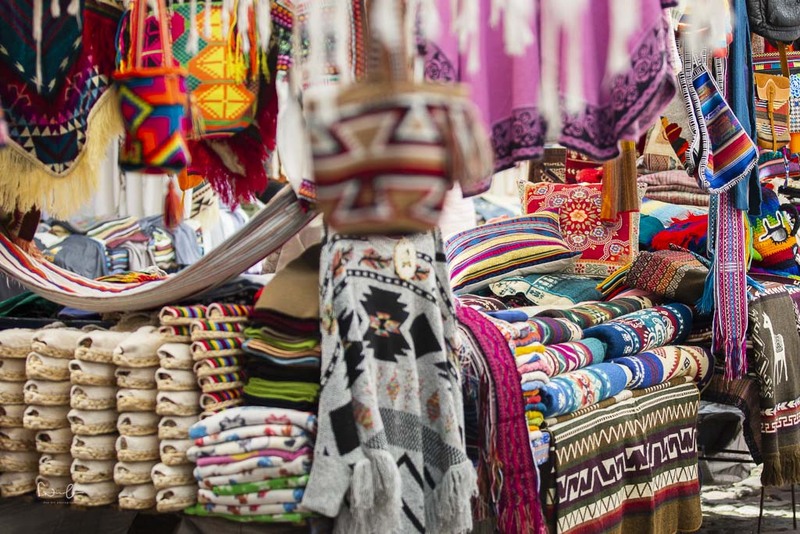 The Otavalo Market is a nice opportunity to buy souvenirs for your loved ones at home. The Otavaleños have been cloth makers since ancient times and were extremely entrepreneurial. Most of the South American textiles were made in Rodrigo de Salazar’s large weaving mill in Otavalo, which became the country’s most important at the beginning of the 19th century. Otavaleño cashmere became known throughout the country at low prices and high quality. Today, over 80% of Otavaleños are active in the textile industry. They sell their products on markets all over the world. 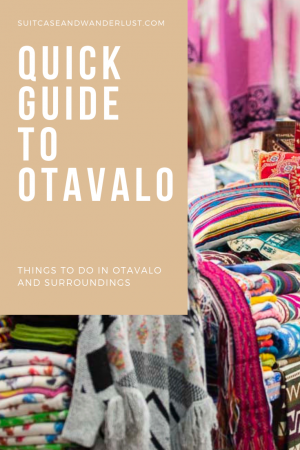 The inhabitants of Otavalo are called Otavaleños. When you arrive in the city, you can recognize them by their traditional clothes. Women wear richly embroidered blouses, eye-catching multi-row necklaces, a dark skirt and a scarf around their shoulders, which often serves as a “backpack” for goods or children. Many of the Indio women also wear a headscarf. The traditional clothes of the men consist of white trousers, ponchos and sandals. The braided plait or ponytail is a trademark that shows the affiliation. 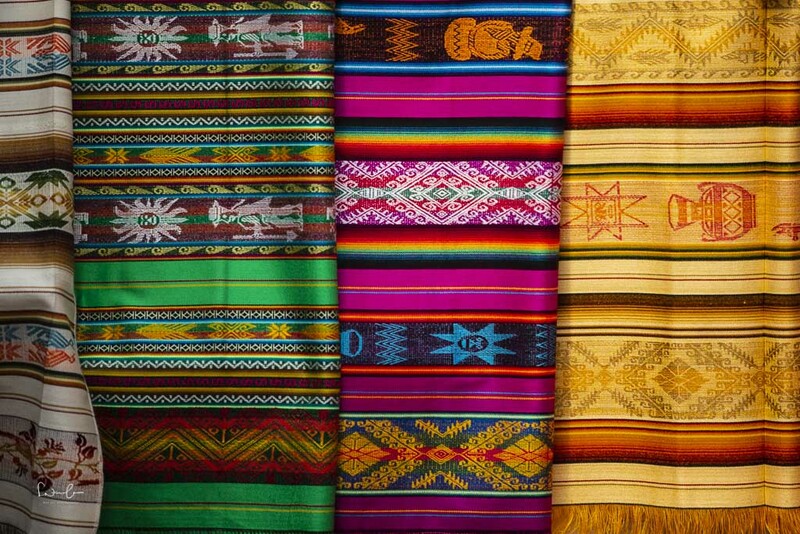 The clothes of the Otavaleños represent the pride they have in their culture. 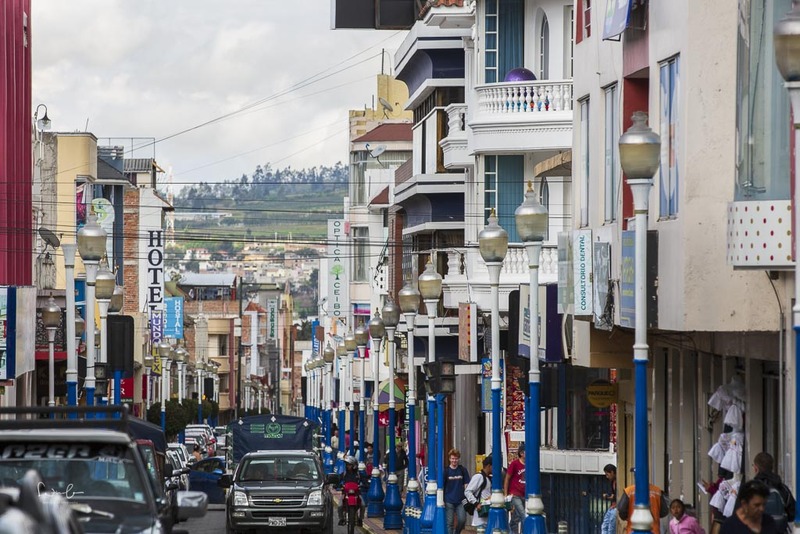 Like all Ecuadorian cities, Otavalo has a lively square that invites you to pause. It is a great spot to observe the local hustle and bustle. Within the colonial city with almost 50000 inhabitants, everything is within walking distance. You will find many cafes, restaurants and street food stalls. Speaking of street food: Look out for a stand where you can get Quimbolitos – sweet corn flour bags with raisins, simply delicious! For all chocolate lovers, I recommend a visit to Muyu Coffee and Chocolate, where your chocolate heart for sure will dance. Mirador means vantage point. 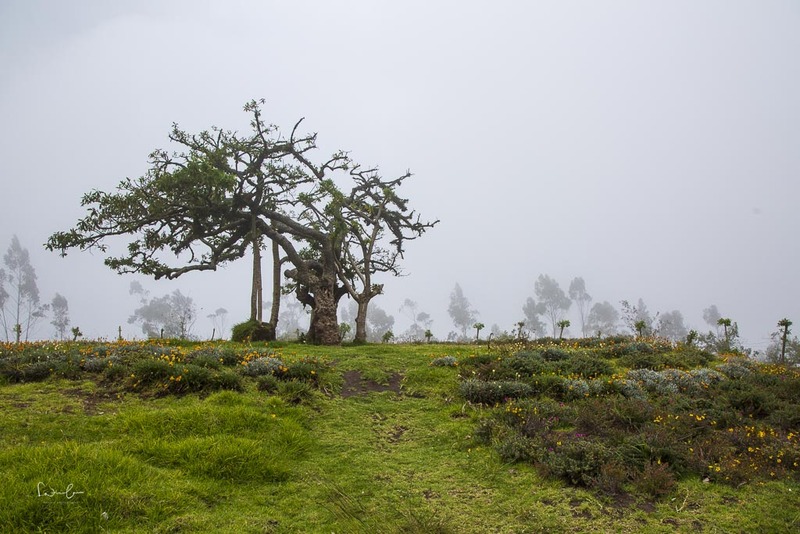 El Lechero is an ancient tree on a hill above Otavalo overlooking the lagoon of San Pablo, Otavalo and the volcano Imbabura. The special aspect of this tree is not only its age (it is said to be over a thousand years old), but also its religious background. 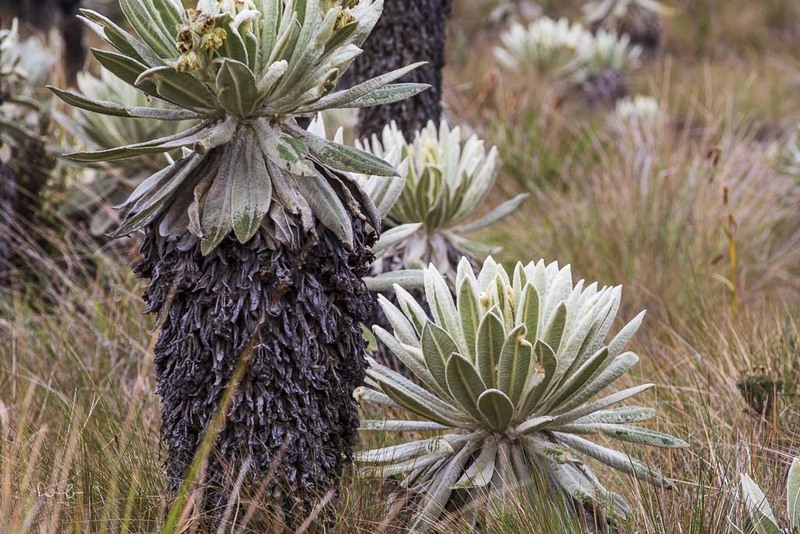 According to the indigenous people it is said to have healing abilities. He is visited and worshipped for rituals or weddings. Unfortunately also here the human being has done his mischief and thus the beautiful lonely tree is surrounded by a fence. My idea of the perfect photo at sunset was destroyed not only because of the fog and the bad visibility, but also because of the fence. The viewpoint is nevertheless beautiful and only 10 minutes drive from Otavalo. 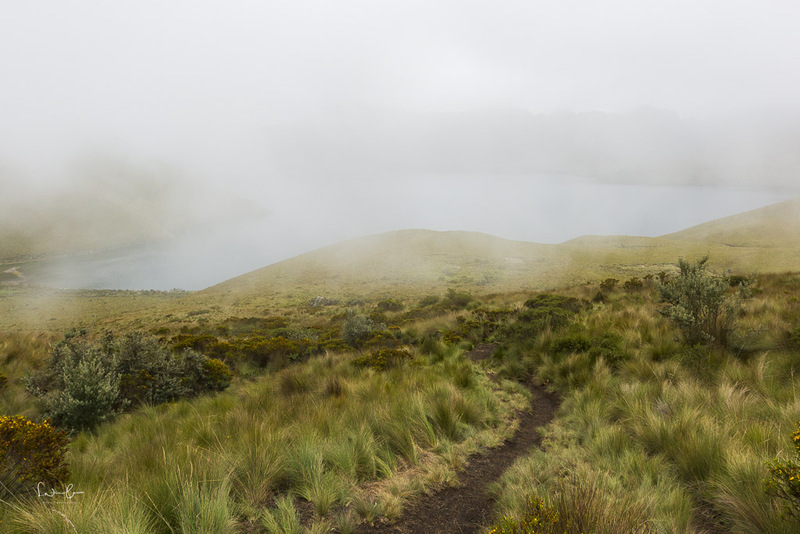 Mojanda is a volcano with three lakes Kari Chocha, Warmi Cocha and Yanacocha and two mountains, the Fuya Fuya and the Yana Urku. Fuya means fog and Fuya Fuya means a lot of fog. I got that when I hiked towards Fuya Fuya. The fog came in so suddenly that for a short time I could hardly see my hand in front of my eyes. But it pulled away just as fast as it came and so I had everything from sunshine, rain and fog within a couple of hours. 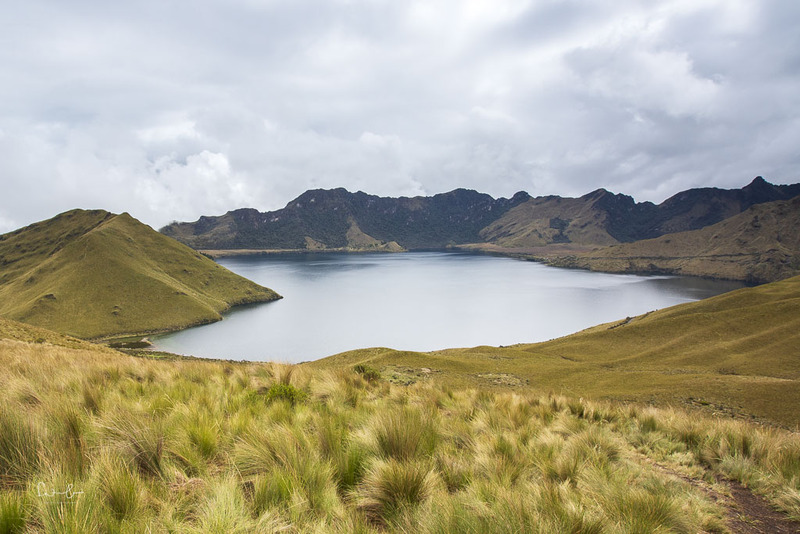 The Laguna of Mojanda is at an altitude of 3700 meters above sea level, which could be a problem for some people without prior acclimatization. To walk slowly, no very slowly and drink a lot helps. You can go up to Fuya Fuya or if it gets too much you can only hike a bit to see the heart shape of the lake. The view is really beautiful and let me pause for a few moments and just enjoy. Another alternative is to walk along the lake – also beautiful, but you miss the sight of the heart shape. 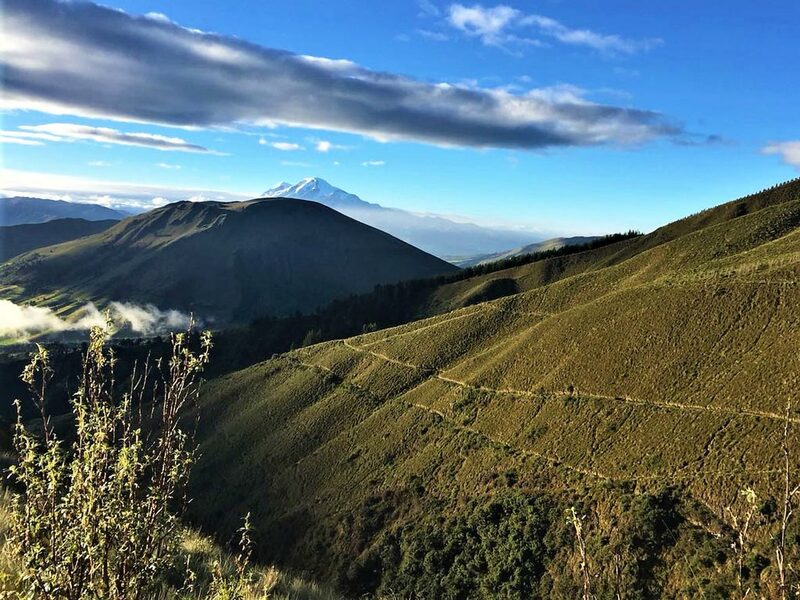 The starting point for the hikes can be reached in about 1-hour drive from Otavalo. I can recommend Guillermo Fiallos as a driver (Tel. +593 969696777). Alternatively, you can book a day trip with various tour operators via your hotel or hire a local taxi. The El Angel National Park on the Colombian border can be reached from Otavalo in about 3 hours by car. The special feature of this park are the Frailejones Gigantes, the rare plants that dominate the national park and which are only found there. At 3600 meters you will find a loop trail that leads to a lake. Depending on the number of breaks you take, the route takes about 2 hours. The journey to the starting point is spectacular and exciting for us, for Ecuadorian conditions and according to the locals, the road is “not so bad at all”. Taita Imbabura is a true legend among the Otavaleños. The sleeping volcano is considered the “father of all volcanoes”. 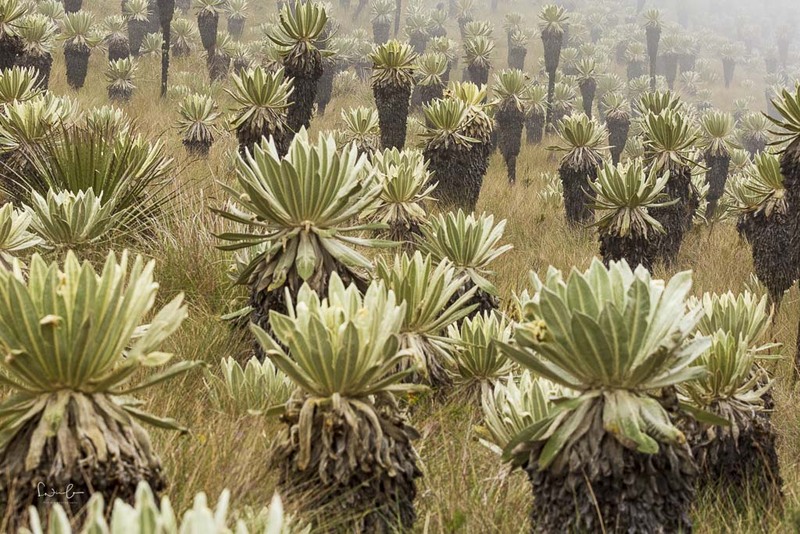 The beautiful hike through grassland with breathtaking views takes about 5-6 hours to reach the summit at 4610 meters. 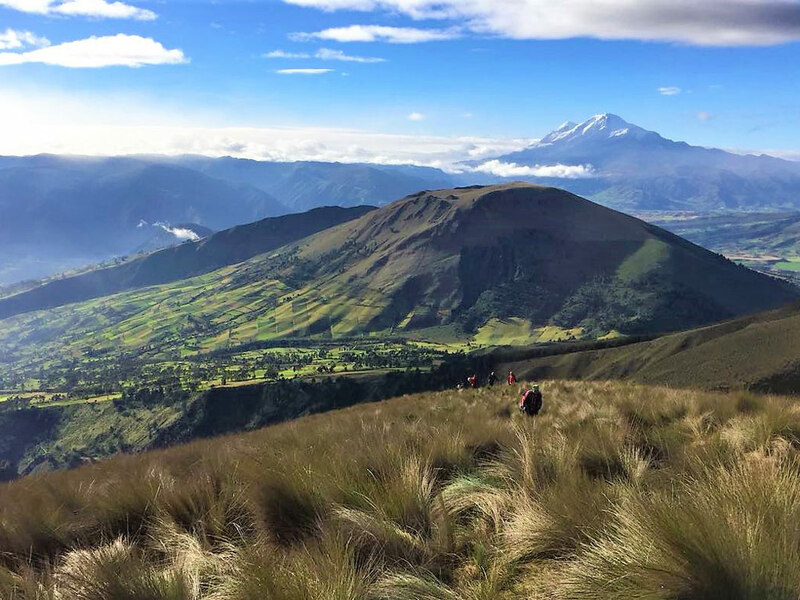 The hike is not very challenging, but takes some time… Andean Summit Adventure has easy hikes like these in its tour program, which is often booked by mountaineers for acclimatization. 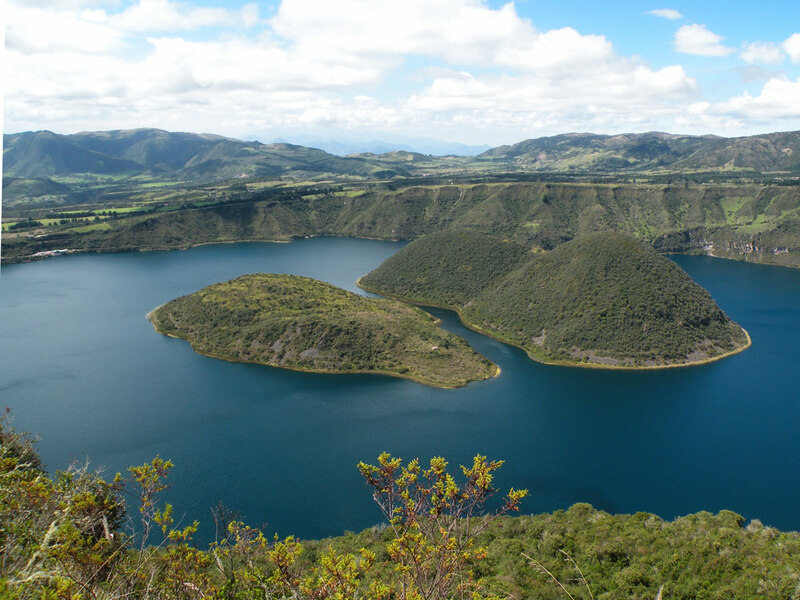 Cuicocha is an active volcanic crater with two volcanic domes rising out of the lake. From Quiroga continue by bus or jeep to the starting point in the National Park Reserva Ecologica Cotacachi. The wonderful hike around the crater lake takes about 4 hours with beautiful views of the deep blue crater lake. This tour can also be booked with Andean Summit Adventure or chartered locally from Quiroga. For a bit of luxury treat yourself with Hotel Medina del Lago. 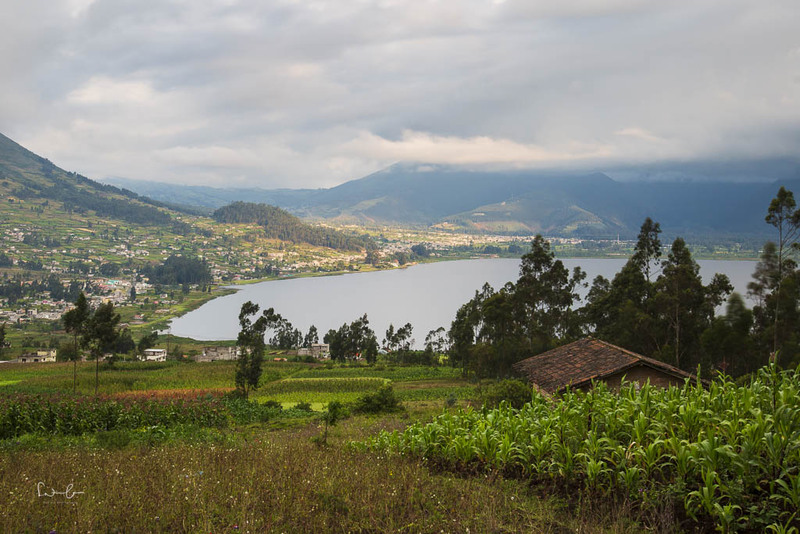 It is located on a hill 20 minutes away from Otavalo with a breathtaking view on the lake. From Quito, you can reach Otavalo in about 1 1/2 hours by car. I explored the small town and its surroundings on my Ecuador round trip as the 2nd stop. 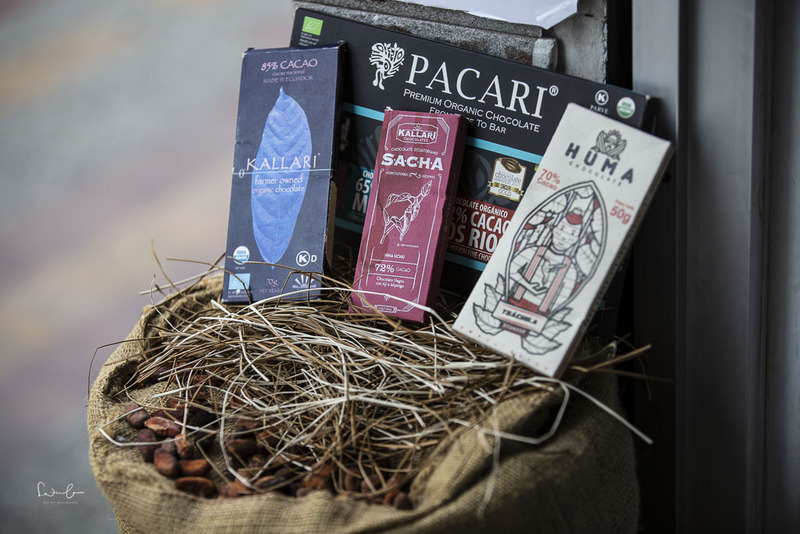 It is definitely more than just a market because it offers a variety of outdoor possibilities. Especially nature lovers will enjoy Otavalo and its surrounding area. 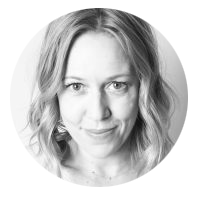 Disclaimer: This article contains affiliate links (marked with *) which means I get a small commission if you book via my link. This is at no additional cost for you.